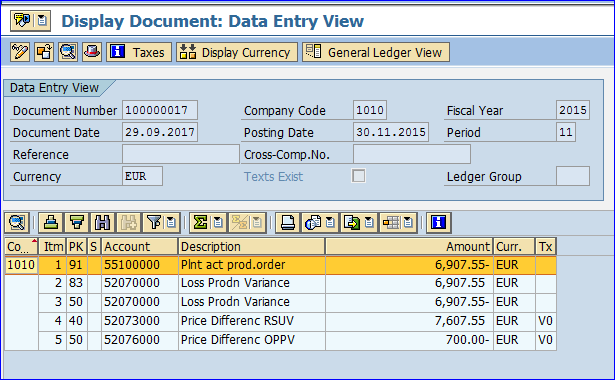 In this blog, I will explain about the SAP S/4 Finance functionality for “Split of Price Difference “. Normally Semi Finish and Finish Products are managed with price Indicator ‘S’ Standard Price. Normally Semi Finish and Finish Material Valuated with standard price method value gets calculated from Standard Product Cost Estimation. Standard Product cost estimation is done using production planning master data and Controlling master data like BOM, Routing, Activity Price, Raw Material Price. In actual scenario, once the production order gets processed and completed we found there is the difference between planned (Standard Cost Estimation) and in actual cost. 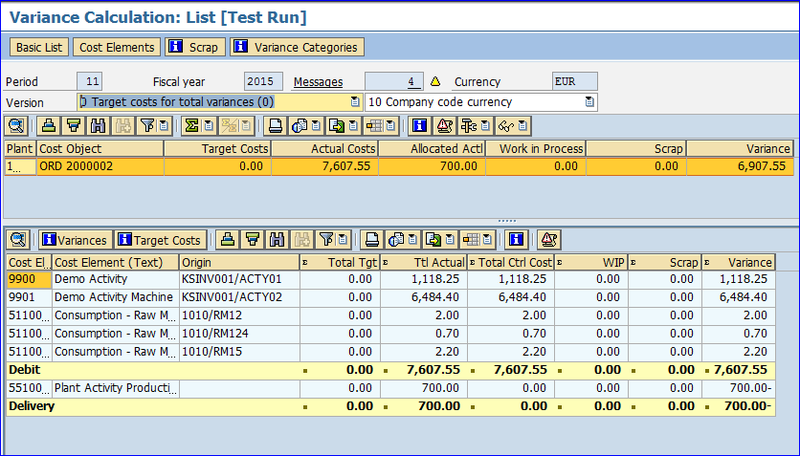 In SAP this difference gets calculated at the month end using settlement process. 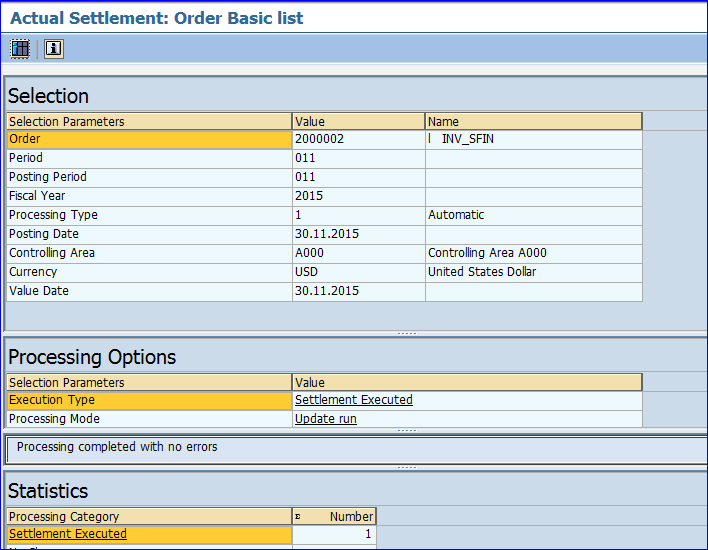 Once the settlement completed system pass the accounting entries for the difference value. Earlier in ECC is get recorded only on one account of “ Price Difference Account” and Costing base COPA is get distributed as per variance categories but not within Finance to GL’s. To get recorded this difference in Finance and get real-time reconciled with SAP COPA, SAP come with functionality Price Difference Split in S/4 HANA. GL master data need to be created as per different type of variance category. 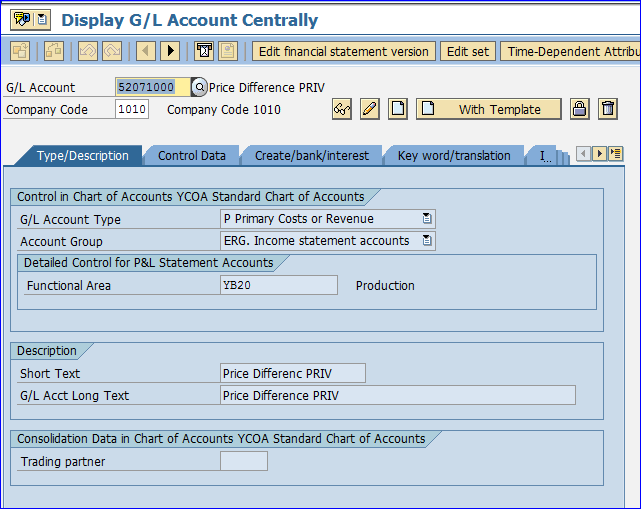 Assign PRD account in OBYC. To get in details how it works we need follow Process steps as enlisted below. 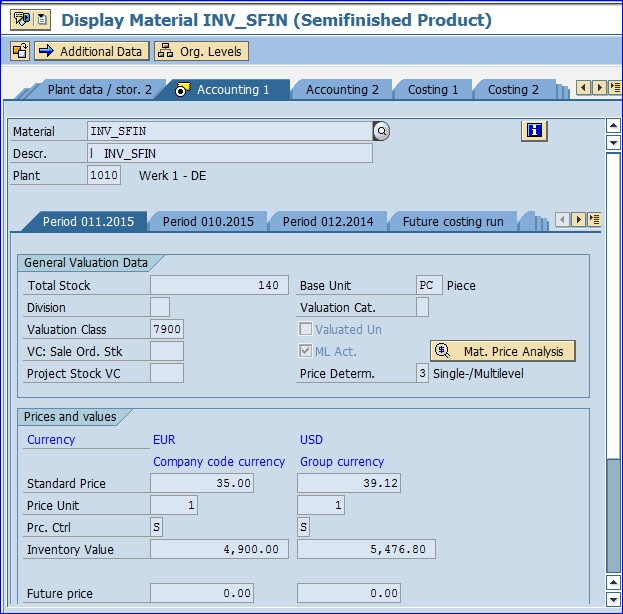 COPC (Product costing of Finish Product) to get Standard Price of the Material. 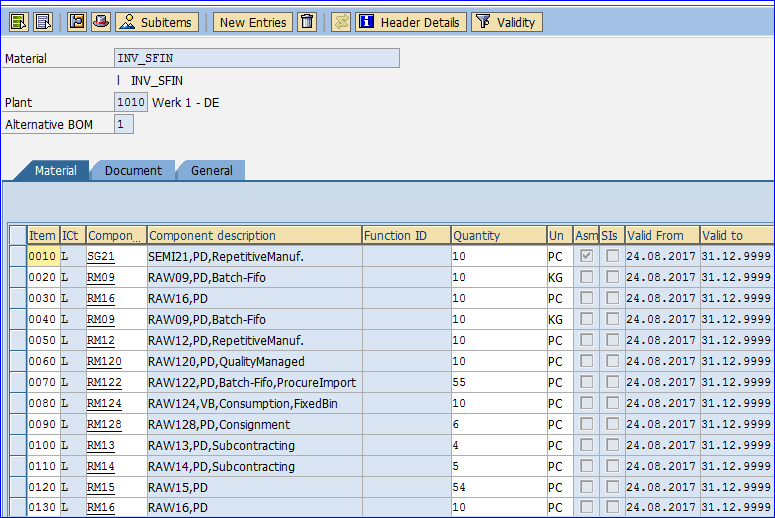 Create Master data for BOM and routing in PP. 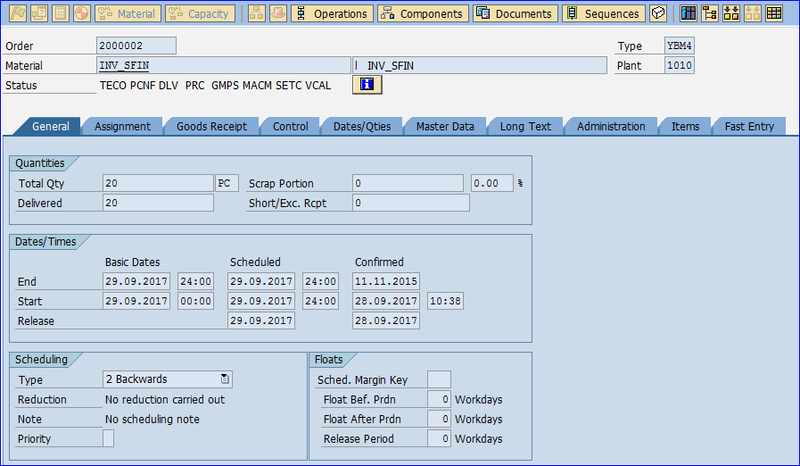 Create Production Order to GRN from production order process (TECO Status of the order). As shown above, GL masters created all 9 different types of the variances. 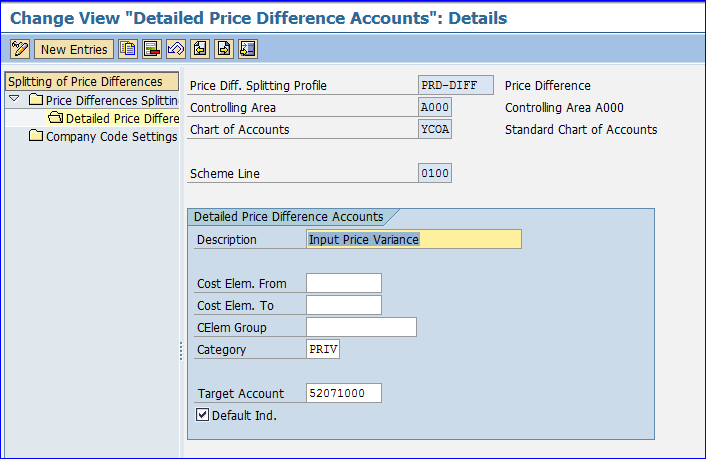 Price Difference Split Profile: Here we have to define profile for price difference with combination of Chart of Accounts and Controlling Area. Price Diff Split and Company Code Assignment: Once we complete with split profile configuration we have to do an assignment of Company code to split profile. In this, we have to give valid from date. From this dating system will start price variance split for company code. Product Costing for Finish Product: I have created Semi Finish product master and completed product costing run for the same using CK40N. Variance Calculation: As the month end activate to calculated variance of the production order and category of the variance we have to run variance calculation for the order. Once the variance is get calculated we have perform next steps of the process it’s the settlement of the order. 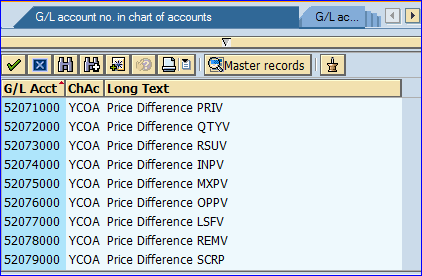 Accounting Document for Price Difference with settlement generated by system, Document posted with line item for each variance category. In the above example, System has distributed total price variance in two categories as calculated in variance calculation to Resource-Usage Variance and Output Price Variance. Please let me know if anything missed in this. I am missing settings in this customizing point tho!